Dar al-Gharb al-Islami recently published a little-known book on Hanafi usul al-fiqh by an equally unknown author, Imam Mahmud ibn Zayd al-Lamishi al-Hanafi al-Maturidi, a Transoxianan scholar from the late fifth and early sixth Islamic centuries. Imam Lamishi, despite the value of his books which is apparent to anyone who reads them, is not known for his publications and the books of tabaqat do not give much detail regarding his life or times. It is sometimes assumed that he was a student of the great Hanafi jurist, Imam Nasafi, though this is not known for sure. 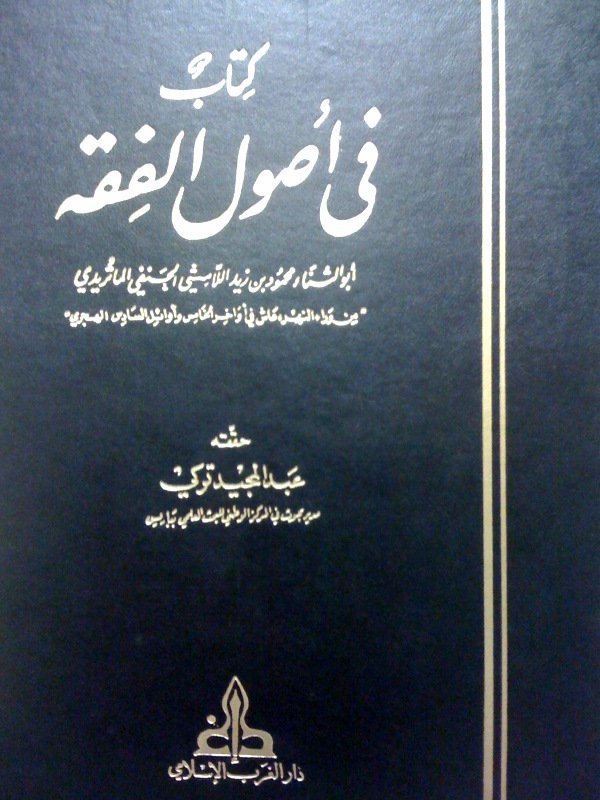 His work, entitled Kitab Fi Usul al-Fiqh, is unique amongst works of the usul al-fiqh genre of literature. Unlike other texts, it is arranged more like a glossary and less in accordance with the classic scheme of subject-division in usul books. The definitions and explanations offered by the author are surprisingly simple, easy to understand, and void of the complex linguistic constructions that would be become characteristic of later works. The value of the book may not be apparent to the average student of the Hanafi fiqh due to the relatively unknown status of its author. It should not, however, deter a student from benefiting from it. I would suggest this book to any student of the usul and propose that it be used like a mu’jam to aid in the study of other texts. The pdf of the book comes courtesy of our dear friend, Shaykh Ehzaz (إعزاز) Ajmeri. Link has been repaired. Thank you for the comment. Enjoy. It still won’t open me. It seems to be working fine on most computers.